Left; Tessa Hamborsky, Right; Alyssa Gaborko. Tessa Hamborsky and Alyssa Gaborko were recently voted Best Friends as their senior superlative. Little did they know, but the best friends would end up standing alongside each other as members of the homecoming court. 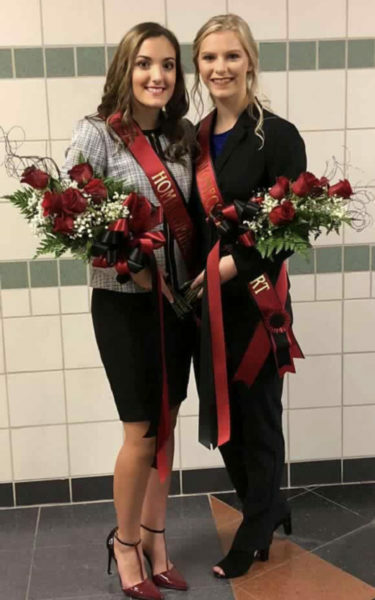 After being announced at the pep rally, the court of 7 female and 7 male students began their duties as court members, such as being in the Scottdale Fall Festival parade and walking on the field before the winners were crowned. Escorted by her uncle, Hamborsky said she “couldn’t stop shivering” as she walked underneath an umbrella. On the night of October 12, Hamborsky said that she was “happy for everyone that was on the court” and would be glad for whoever won. 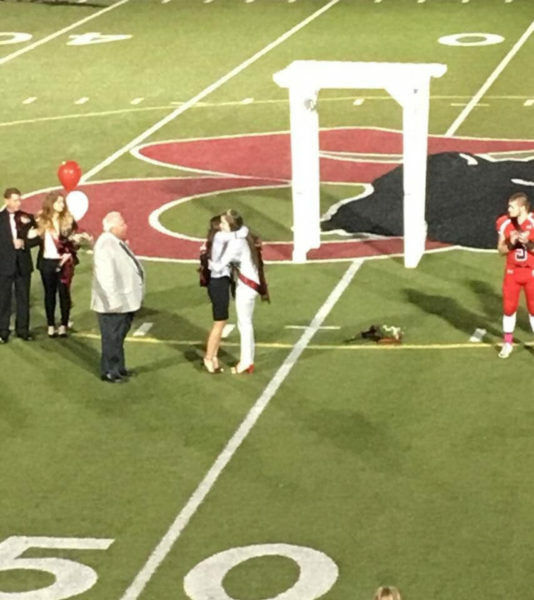 She said, however, that she was “genuinely surprised” when she was announced homecoming queen. Hamborsky hugging last year’s queen Brooke Corley after being crowned. Gaborko was very fortunate to have spent her time on the court alongside Hamborsky. In the future, Hamborsky plans to attend a 4 year college to study to become an elementary teacher because of her “love for children,” or to study marketing. Hamborsky, after walking on the field during senior night on October 26, offers advice to upcoming seniors.